How can I reuse or recycle cardboard-backed waffle foam? | How can I recycle this? 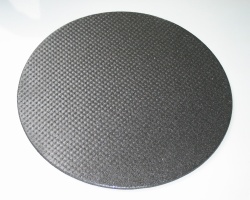 How can I reuse or recycle cardboard-backed waffle foam? As I mentioned a few weeks ago, I’d been over to the HQ of Ruby-on-Rails ISP BrightBox and discovered a load of computer parts packaging. As well as the plastic trays that we featured the other week, there were a number of sheets of cardboard-backed bumpy foam – which is apparently called waffle foam but, if the picture’s not clear, it’s the stuff that people usually use for soundproofing. These sheets aren’t that big about 15cm by 45cm so you’d need a LOT to do any serious soundproofing and could be kept for future packaging purposes – but I suspect they might have so more fun reuses. The cardboard on the back limits it to dry/non-fire related things – I guess it could be pulled off but that seems to provide it with a lot of structure. 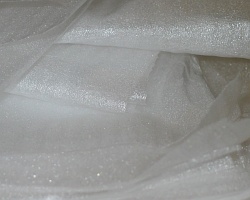 Insulation for a homemade solar oven or cooking box. When your hard disks fail (and if they’re like all of the ones I’ve bought for home use in the last 5 years, they will) the hard disk company often requires you sent them back under warranty in this specific types of packaging. I know they take acrylic craft paint well as I have painted these to use to hold mini urban core samples I make from bottles I even used glitter paint on them. which of course lead to cutting them into weird shapes painting them and creating instant wall art….p.s. packing foam also takes the craft paint well.I have painted all kinds of foam with craftpaint I am partial to the metallics as they give a better sheen to the object. Perhaps they could be mounted somewhere as soundproofing. A fire retardent could be sprayed on if needed. 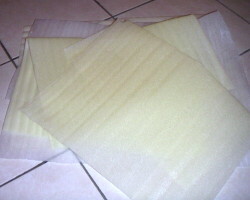 These make great quick coushions for hard chairs, cut to size then either leave as is, or cover with fabric. 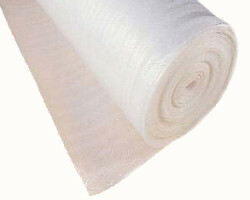 Use it for loft insulation. Use to line the inside of a hard case to provide protection and gently but firmly hold in place cameras and other delicate equipment. Strip your old computer down and sell the parts on ebay. You often get more money this way than trying to sell the whole computer in one go. 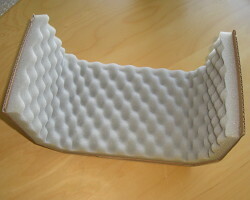 You can then use the foam for packaging your memory, cpu, hard drives etc. Oh boy! The folks on Youtube are dying for these! Slap a few on the walls and it absorbs any background noise, leaving your voice sounding clear as crystal and echo-free! Sell them under cake decorating on Ebay, us cake decorators use then for drying models and flower petals and they are hard to get hold of.